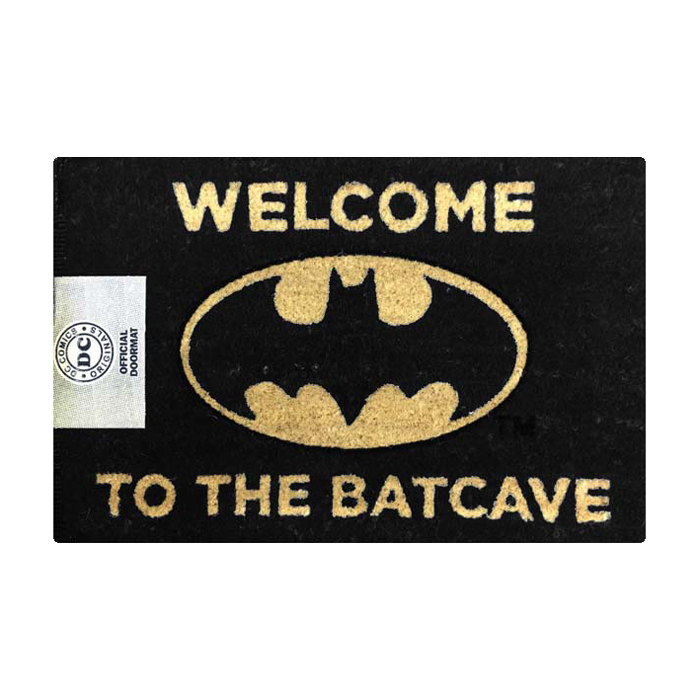 Batman Welcome to the Batcave Door Mat | Transform Your Man Cave with this Batman Door Mat! Batman Welcome to the Batcave Door Mat - NA NA NA NA NA NA NA NA BATMAN!!! Whether it's video games, movies, or comics you're into, transform your Man Cave into a Bat Cave with this iconic DC Comics Batman Door mat! Displaying the iconic Bat Logo and the words "Welcome to the Bat Cave" featured in bold lettering, it's the ideal gift for Batman fans. You'll feel just like Bruce Wayne as you enter your command centre! For internal and sheltered external use. Made of durable materials with a hard wearing rubber backing. Standard Shipping: "Batman Welcome to the Batcave Door Mat" is unable to be delivered at our normal fixed price of $9.95 because of it's size and/or weight. There will be a small surcharge for freight on the checkout and free shipping will not be applied. Express Shipping: "Batman Welcome to the Batcave Door Mat" is unable to be express delivered at our normal fixed price of $14.95 because of it's size and/or weight.. If you need this item delivered fast the shipping cost will be calculated at actual cost at checkout. Very happy with the quality of the product and the service was spot on! !